Is Your Partner Excluded? Doctors, Take Note. An attorney with HHS’ Office of Inspector General said Thursday that the OIG is hiring additional lawyers to look into taking more administrative actions against doctors. They’re looking for the types of questionable payment arrangements addressed in an OIG fraud alert issued earlier this week. 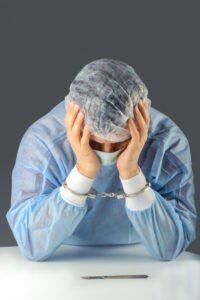 So begins Modern Healthcare’s expose on the OIG’s newly-awakened interest in pursuing allegations against individual doctors. Will this alert, issued after a host of OIG settlements connected to the anti-kickback statute, extend to exclusion screening as well? In all candor, exclusion screening as a compliance necessity is still coming of age. The sheer confusion inherent in the legislature – Do we really need to screen against every state OIG? Do we really need to screen every month? Do we really need to screen every employee and vendor? – leaves the door wide open for gaps in exclusion screening protocols, even amongst big-time medical facilities and employers. Add the fact that it seems far more logical for the OIG to target facilities, and it’s no wonder that small, privately-owned medical practices rarely bother with exclusion screening.